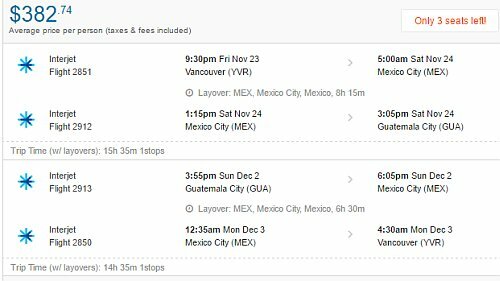 Interjet has dropped the price of a couple of their late November to early December flights from Vancouver to Bogota, Colombia down to between $376 and $393 CAD roundtrip including taxes. The flights have 1 stop each way, in Mexico City, for 6-8 hours. NOTE: The first result on Skyscanner or Flighthub may not be the fastest flights. Look for the flights with 14-15 hours of total travel time each way. It may be the second or third result from the top. 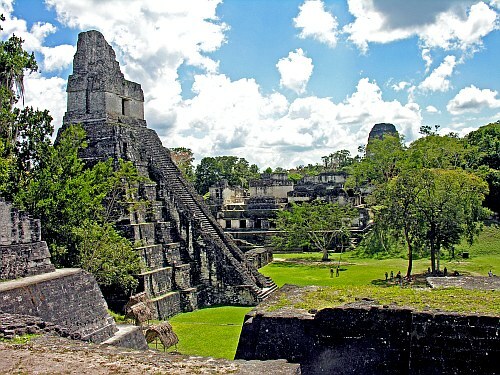 vancouver, yvr, flight deals, central america, guatemala city, guatemala, gua and interjet.